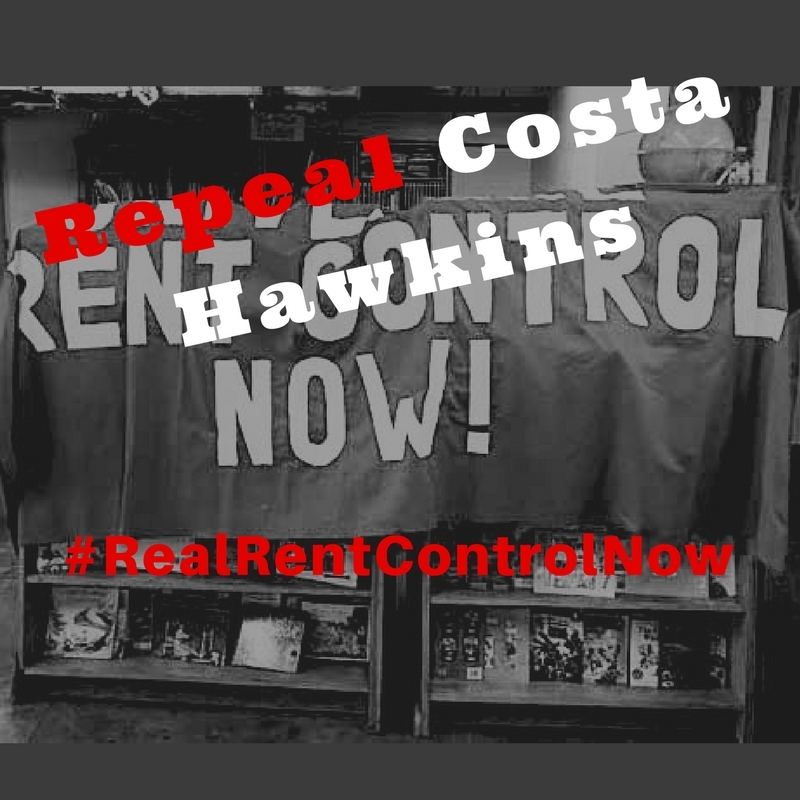 SACRAMENTO–Hundreds of tenants across the state are convening Thursday, Jan. 11, at the capitol to demand a full repeal of the Costa-Hawkins Rental Housing Act, the state law that restricts local rent control measures. The Assembly Housing Committee is to vote on AB1506, the bill that states it would repeal Costa Hawkins. If passed through the full state legislature, it would restore the right for cities to put in place local tenant protections that provide communities immediate relief from rising rents. The California Apartment Association, the biggest real estate lobby in the state, has vowed to send hundreds of landlords to fight to keep this exploitative measure in place. “This showdown will reveal if our legislators side with tenants or with real-estate speculators using the loophole to double and triple rents in unprotected units,” says Aimee Inglis with Tenants Together. Take millionaire landlord Steve Kalmbach, for instance, who gave a 100% Costa-Hawkins rent increase to seven families who rent from his single-family homes in East Oakland — charging them an additional $1100-1300 per month in rent. “My husband and I work hard. Our family has lived in this home for over a decade and raised our children here. Now we face potential homelessness,” said Norma Sanchez, a domestic worker who toils over 60 hours a week. “Because of Costa Hawkins, it doesn’t matter that my landlord is a millionaire raking in money or that working families like ours are facing devastation by being pushed onto the street in droves,” said Sanchez. Costa-Hawkins, a state law pushed through and heavily influenced by the powerful landlord lobby in 1995, allows a number of loopholes that have gutted individual municipalities’ rent control laws. It effectively limits local jurisdictions’ ability address their specific housing issues and prevents them from stabilizing local communities. Costa-Hawkins bans vacancy control, enabling landlords to raise rents on vacant units, which gives landlords the incentive to harass and push out long-time tenants to spike the rents to rates most people can’t afford. Costa-Hawkins also exempts homes built after 1995, condos, or single-family homes from rent control protection. Amina Rubio has lived in her San Francisco apartment for 25 years. Since Veritas — the largest private landlord in the city bought it – many longtime tenants have faced ongoing harassment, including Rubio. By tying the hands of cities’ ability to protect tenants, Costa-Hawkins has been detrimental to our communities. Wall Street giants like Blackstone’s Invitation Homes now own more than 14,000 single-family homes in California, but cities aren’t allowed to cover these homes under rent control. In fact, Invitation Homes is the largest private property owner in Sacramento County. Surveys by Tenants Together and Homes for All found that tenants in Wall Street-owned single-family rentals have higher monthly housing costs than a typical renter in their area, at times over twice the area median. Even tenants with rent control aren’t fully protected because of Costa-Hawkin’s ban on vacancy control. An analysis of over 9,000 tenant counseling cases from two major tenant organizations in San Francisco found that long-term tenants were 3.8 times more likely to be targeted for no-fault evictions like owner move-ins and Ellis Act evictions. In 2017, state legislators congratulated themselves for passing a historic housing package, but this package ignored the need to protect tenants against rising rents and evictions. Tenants around the state urge a ‘YES’ vote on AB1506, the full repeal of Costa Hawkins, to truly prioritize the immediate needs of our communities. Housing Now! 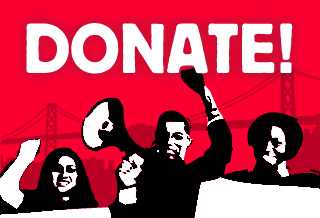 is a broad and diverse movement of people combatting the affordable housing crisis Wall Street has brought to California – tenants and homeowners alike. Led by tenants, our coalition includes landlords, realtors, and dozens of community, faith and labor organizations.